2018-19 Topps 582 Montgomery Club is a new membership program with exclusive cards that pay tribute to the early history of Topps. Issued across 2018 and 2019, the online club features six sets in the annual cost, plus first dibs to buy the high-end 2018 Brooklyn Collective box set. Priced at $199.99 for the entire duration of the '18-19 program, with no additional cost for shipping, 2018-19 Topps 582 Montgomery Club features six different sets that showcase "recently discovered lost designs from our Brooklyn facility." The first set ships out after the initial sign-up and this 25-card set has an autograph. Subsequent releases include two additional 20-card sets, one 20-card sticker set, and one MLB Complete Set with a 582 Montgomery stamp on each card. There is also a special TBD set that contains 20-30 cards and an autograph. This set's subject list will be decided by a member vote. Shop for cards at Topps online. The 2018-19 Topps 582 Montgomery Club release schedule is approximately one set shipped every two months. The final perk is exclusive access to buy one box of 2018 Brooklyn Collection, which is billed as the "highest-end trading card release every offered on Topps.com." Naturally, the set includes on-card autographs. These run $1,000 per box and include five hard-signed autographs. Members also receive the first option to renew for 2020 if Topps elects to continue the program after 2018-19 Topps 582 Montgomery Club. 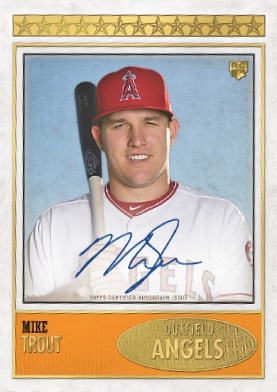 Topps indicated that spots were limited, but no specific number was mentioned. Buy Topps 582 Montgomery Club cards on eBay. 25 base cards and 21 autographs. 1 autograph per set. Full 20-card set per box. Buy on eBay. See the full set details. It is sufficiently frustrating to be told the Brooklyn set will be the most beautiful set ever—yet without a preview—that I am hesitant to sign up. 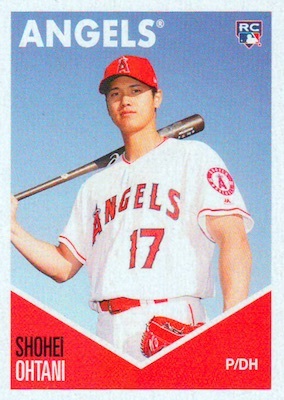 The design of the Trout card from another set that they do highlight is quite amateurish in design. I’ve never understood why Topps shows packaging on the website over card samples. Perhaps for $20 a year. If this is the future of the hobby I’m probably going to set my balls on fire. Listen the amount of money that you want for a pack of cards is ridiculous. I have over 20 thousand items going and getting the stuff my self. A kid who likes baseball doesn’t have the money to pay 2.50 a pack. I’m 46 and I got to see alot of hall of Famers play. Too me it’s sad to see the way a guy makes 28 million a yr and has 5 complete games then they overcharge everything else to pay people like that. I would never pay for a autograph and I have over 120 guys that are decesced. Fox- Yes it’s amateurish. It’s expected. These are designs from when the company first started. A simpler time. Thorgasm- Keep that lighter handy. Topps did this with Stadium Club years back, Panini Football? does it now. Politicians charge $1000 a plate for a dinner so you have the chance to network. Exclusive membership has it’s fees. C Nickerson- While true this is an expensive hobby, the quality is better than when it was .50 a pack. There are ways to collect cheap. Kids don’t have to buy packs. Packs now are appx. 25% of minimum wage in my state. As a kid in 1989 UD was $1. appx. 25% of minimum wage. I never complained. Buy what you can afford. Work harder for what you cant. Rules we all live by. The player making 5 million and companies overcharging to make up for it has nothing to do with Topps. Topps costs have increased so that gets passed down to the consumer. AP- I agree. With only a little press and 24 hours later it was closed. Perfect. Seriously? 105 total cards and there are 19 New York Yankee cards? And let’s face it, having the two McCutchen cards go for the Giants (when he is on the Yankees) only highlights that the set is missing Willie Mays, Willie McCovey, and/or Buster Posey. 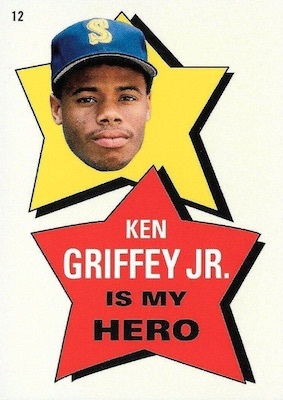 And only one Dodgers player (Koufax)? No Jackie Robinson, Clayton Kershaw, or Don Drysdale? I get it, we are celebrating an East Coast company and their East Coast location. But when a set only has three players from the San Francisco and Los Angeles MLB clubs, you can’t expect it to be taken seriously. The East Coast bias is thick, and at least for this West Coast guy, it makes this set a stinker before it even arrives. Bummer. This is just the checklist for the all-autograph Brooklyn Collection set that being a member allows access to buy separately. The lists for the sets that come with the membership have not been revealed yet. When will you have the 25 card set checklist up? It will be posted as soon as we have it. 2019 Topps Opening Day MLB Baseball Hobby Box NEW !! !